Over the past seven days on PokerStars, Russian poker pro Alex Kostritsyn won roughly $420,000, the most in the online world during the period, according to tracking data from HighstakesDB. Kostritsyn, who plays under the screen name “joiso”, is likely one of the top winners on 2015, but he has opted out of having his results, outside of a week time frame, tracked. He logged just under 3,000 hands during the week and mainly played the draw games. Other big winners include Timofey “Trueteller” Kuznetsov ($237,692), “RaúlGonzalez” ($219,511), Cort “thecortster” Kibler-Melby ($166,274), Ben “Ben86” Tollerene ($164,305) and “Katya_18” ($106,625). The biggest losers on the week include Viktor “Isildur1” Blom (-$735,300), “Yoghii” (-$186,605), Sami “Lrslzk” Kelopuro (-$155,883), “donthnrmepls” (-$134,104), “ARTtimeSHOW” (-$124,160), Patrik “Fake Love888” Antonius (-$105,237) and Phil “RaiseOnce” Ivey (-$101,105). Blom’s extended upswing seems to finally be hitting a real bump in the road. 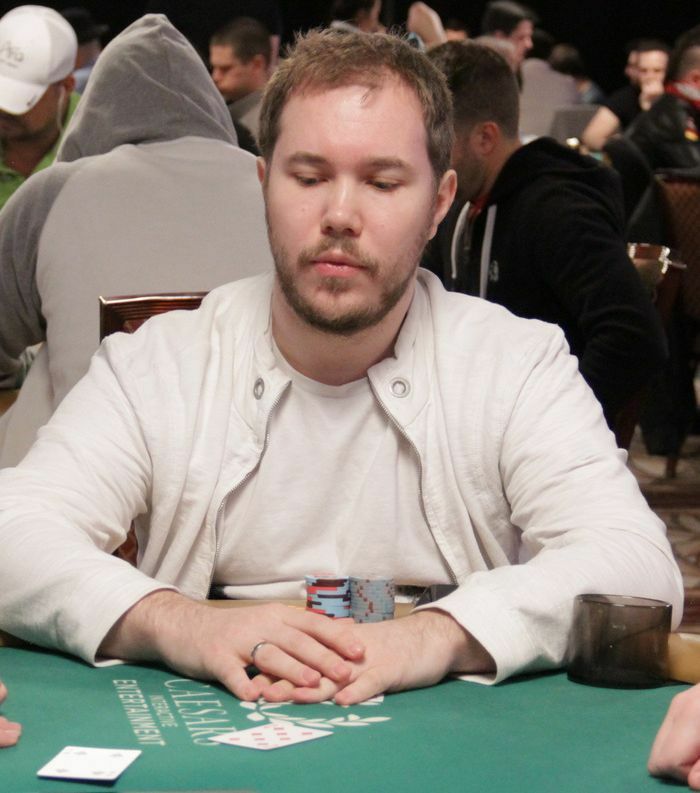 The largest hand of the past week was a $155,000 pot between Kelopuro and Kuznetsov. Playing heads-up at $100-$200 pot-limit Omaha, Kelopuro had the button and made it $680. Kuznetsov made the call. The flop fell 3 3 2 . Kuznetsov checked, and Kelopuro bet just $600. Kuznetsov check-raised to $3,200, and Kelopuro called. The turn was the 10 , and Kuznetsov bet $7,900. Kelopuro raised to $26,000, and Kuznetsov called. Kuznetsov was good with his full house and raked in the entire pot.